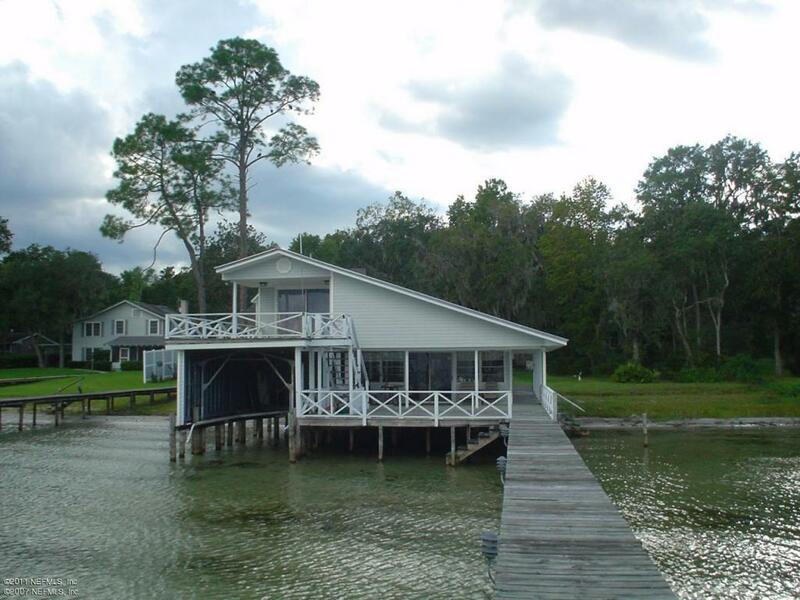 WEEKEND RETREAT WITH 60 FT. OF LAKE FRONTAGE ON KINGSLEY LAKE. THIS IS YOUR CHANCE TO EXPERIENCE HIGHLY DESIRABLE KINGSLEY LAKE BY OWNING PROPERTY LOCATED ON THIS ''ONE OF A KIND'', SAND BOTTOM , SPRING FED LAKE. THE HOUSE IS SITUATED OVER THE WATER WHICH IS NO LONGER PERMISSABLE DUE TO CURRENT BUILDNG REGULATIONS. HOME NEEDS EXTENSIVE RENOVATIONS. MASTER BEDROOM IS UPSTAIRS AND HAS A SITTING ROOM AND PRIVATE DECK. THERE IS AN ADDITIONAL PARCEL (PRICE TO BE DETERMINIED) ACROSS THE STREET SHOULD YOU WISH TO CONVERT THE EXISTING HOUSE TO A DOCK HOUSE AND REBUILD ON THE HILL. Lot Size 60 FT. X 330 FT.